Was this tip helpful? Sign up today to receive our weekly technology tips! 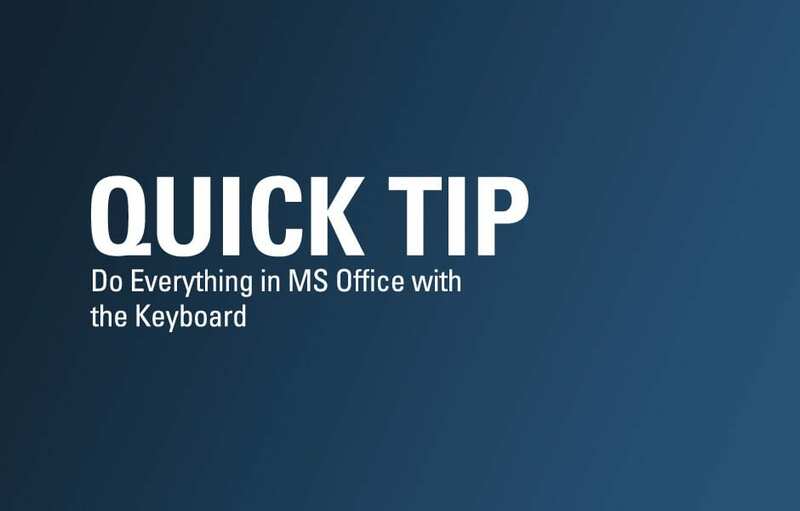 Office's Ribbon interface looks as if it's designed for the mouse, but you can fight carpal tunnel syndrome and other wrist problems by using the keyboard instead. Tapping the Alt key causes boxed letters to appear on all the Ribbon's tabs, and boxed numbers to appear on the Quick Access. For example, type "H" and the Home tab opens, complete with boxed letters (and a few sequences of two letters like FN and PG) that you can press to access all the features on the tab. Galleries -- like the gallery of styles on the Home tab -- have letters located on the scroll bar to their right. You can type "L" for Styles on the Home tab, and tap the appropriate letter to open the gallery, so you can navigate it with the arrow keys. Type Alt again to exit this mode when you're done.